Lives in Pavlikeni. He has graduated in “Iconography” at “St. Cyril and St. Methodius” University of Veliko Tarnovo. 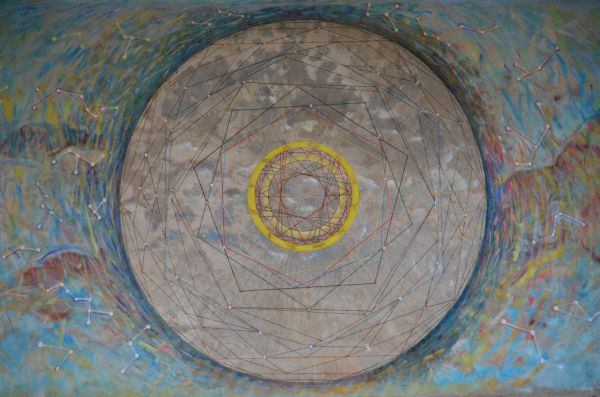 He works in the sphere of painting, sculpture and wall-painting. He says about himself: “I`m on an endless journey where I try to catch visions and ideas and visualize them in a different way”. 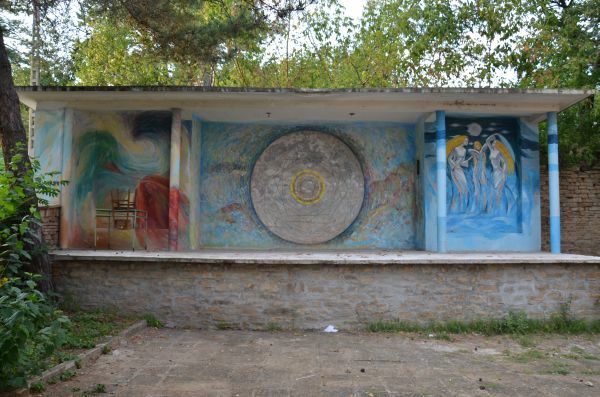 The mural is a logical continuation of my previous project ,,Ritual place for meditation and contemplation about the end as a beginning ”/ located next to the bus stop/. 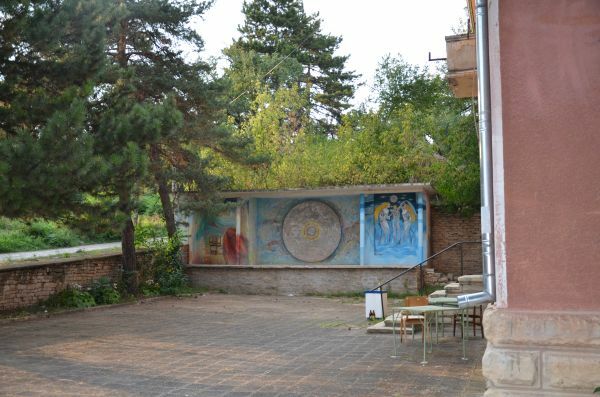 The idea is to create more places with both spiritual and aesthetic energy in the village. 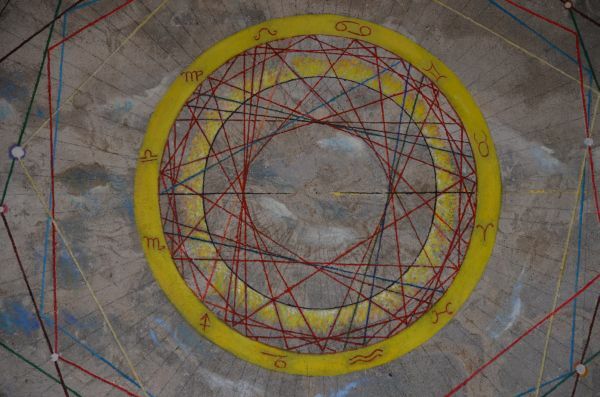 The imaginary star map combined with sacred geometry and astro chart symbolize the infinite universe that accompanies any cultural event of this stage resembling star ritual that will merge into the infinite harmony of the universe. 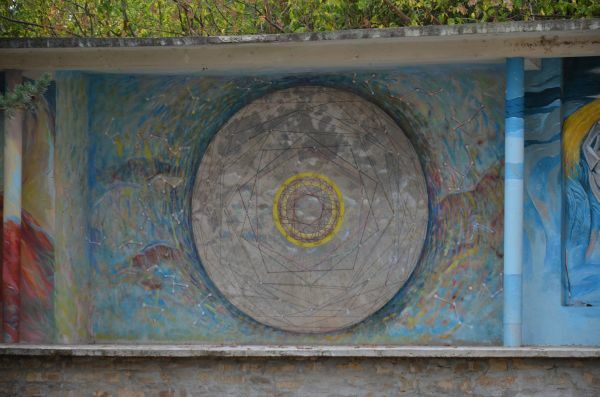 This is a star portal that sends a message to the infinity of time and space through each song, poem and dance.